At first, it sounds like a database setup, but it is not. Master/Slave mode is the new feature for Solidres 2.8.0 (Joomla), this new feature is very useful when you want to rent your apartment as a whole unit or as separated rooms at the same time, that means if your apartment is unavailable then all rooms must not be bookable, and if one of your rooms is unavailable then your apartment must be unavailable too. The apartment is the “Master” room type and other dependent room types are “Slave” in this setup. Actually, we implemented this feature last year, however it does not allow setting different prices for different rooms with that setup therefore we improved it further by introducing this Master/Slave mode. Adding support for Registration card has been requested multiple times by our users and now we are able to introduce it, please see details in below screenshot. Our Registration card feature allows you to design the card layout by dragging and dropping fields easily and conveniently without touch any lines of code, it can be used by non-technical staffs as well. There are many predefined fields to choose from. 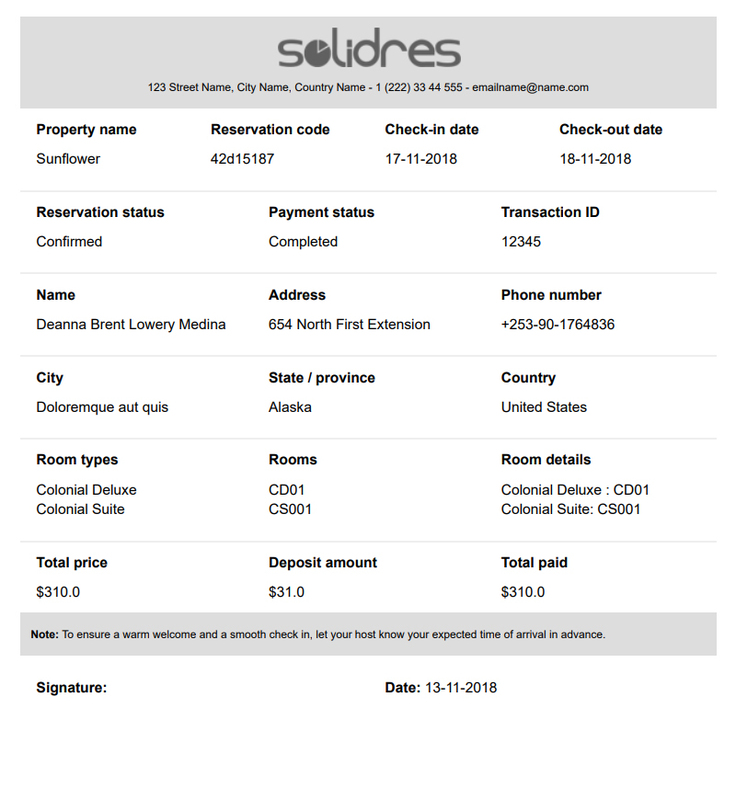 When your guest check-in at your accommodation, you can just print the registration card and all the guest’s info will be filled automatically, your guest only need to sign it, it helps to make the check-in process faster than before. 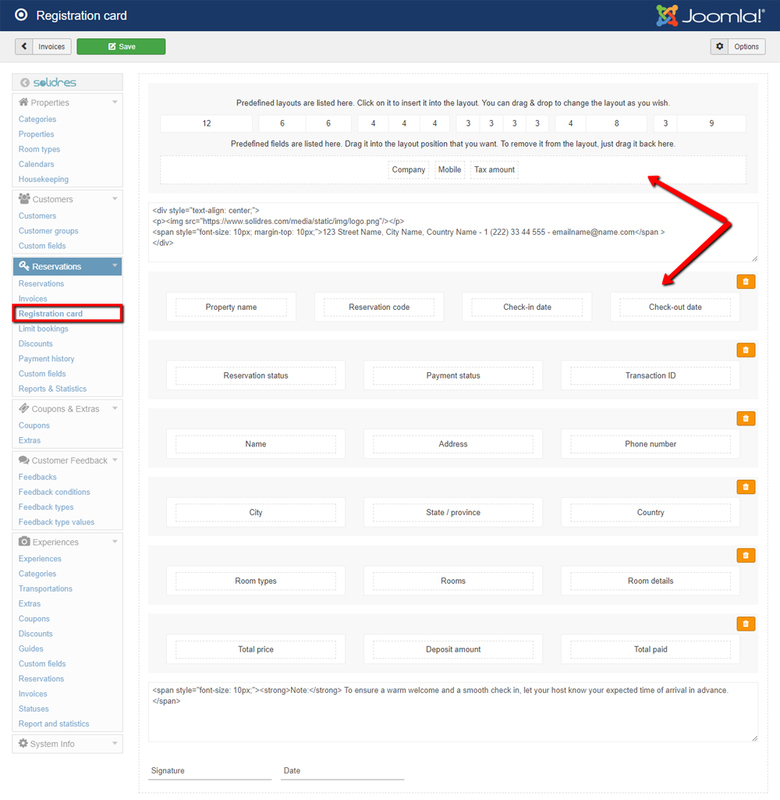 This feature will be available in Invoice & PDF plugin v1.2.0 (Joomla). Shifts: define flexible opening and closing hours for each weekday. Multiple shifts per day are supported. Turn times: configure the maximum period your guests can use a table before it is being made available for other reservations. Turn time can be defined differently per shift. Special days: close a day or configure a special day which has different shifts than a normal day. 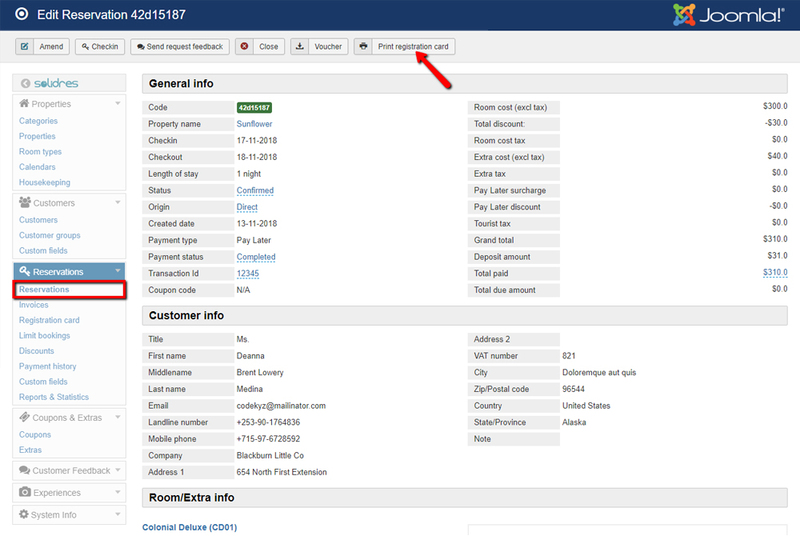 In addition to that, we also released a new RMS edition for building a restaurant booking portal site called RMS MULTI. This edition allows your guest can check multiple restaurants in a location (city) for table availability and make their own reservation with their favorite restaurant. Changelog details can be found in your RMS download section, if you need more information please visit our RMS subscription page or don’t hesitate to contact us.